The area originally selected for a cemetery was known as Copley Knob, located in the southwestern part of town near Western Kentucky University. It was considered no longer a desirable site due to the Civil War. Trees were down, cannons were everywhere and bayonets lay all over the ground. In 1864, 30 acres were purchased from William McNeal for $100.00 per acre along Cemetery Pike. This is now known as Fairview Cemetery. These original 30 acres are known as Cemetery #1. Records show Reverend A.C. Dickerson delivered the dedication address for the new cemetery on July 20, 1865. Two Revolutionary War heroes are also buried here: Captain Robert Craddock and (Pierre') Peter Tardiveau. The Confederate Monument was erected in 1875. 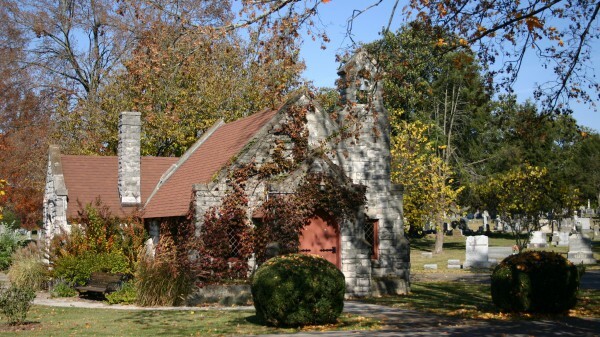 The VanMeter Mausoleum is the oldest mausoleum in Fairview Cemetery and is one of many within Fairview Cemetery. It has had some restoration work to preserve its structure. The Bloch Memorial Chapel is a beautiful old English country church of the Gothic period designed by J. M. Ingram and was built in 1938. Built by their children in memory of Adolph and Belle Bloch, the chapel is rented to families for burials, weddings, and other church functions. In 1954, as Cemetery #1 was getting close to being sold out, the City of Bowling Green purchased land across Fairview Avenue for future burials. The City currently owns, maintains and operates 109 acres for burial rights.